Every day is a great day for a run. Tours are available daily all year round. We do not cancel the sightrunning tours if it rains or snows. 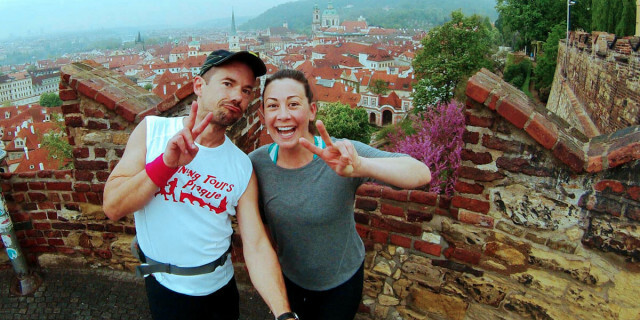 On the contrary, running in Prague can be more fun! The only instance we would cancel a tour is if the streets are frozen over. This happens only rarely, though, so if you are in doubt… expect to run Prague. The guide has a backpack in which you can store personal belongings such as keys, coins, extra raincoat, pieces of your running gear etc. 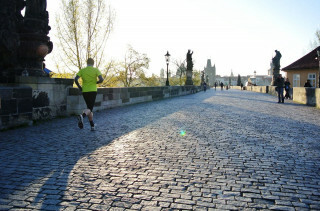 In Prague the temperatures are generally mild and runner-friendly. Two days prior to your run we update you on the latest local weather forecast so you know what to expect. The payment is fully refundable if you cancel until 48 hours before the tour. For later cancellations there is no refund. 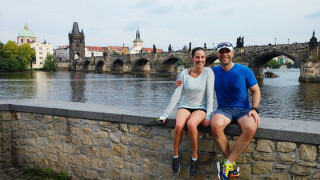 Spice up your usual run with gothic churches, aged streets, and peaceful parks on our “Heart of Prague” tour. 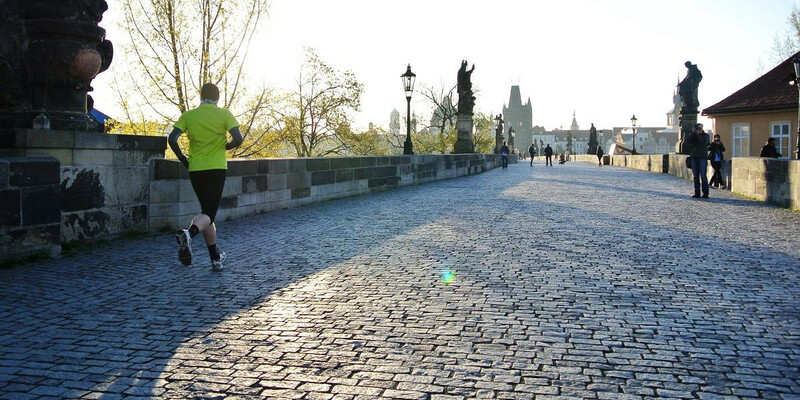 Our most popular running tour, you see the best of Prague’s highlights while working up a high heart rate. Picking you up at your hotel (also the drop off point), all you need is your running shoes and an enthusiastic attitude. One of our easy-going and experienced local guides picks you to start the adventure. We weave through the mystical lanes of the Lesser Town and the colorful buildings of Old Town, passing by the Jewish Quarter and famous Astronomical Clock. Later, we cross the historic Charles Bridge, and if energy and time allow, explore the vast Prague Castle and gorgeous neighboring parks. Along the 50-70 minutes of sightseeing, your guide offers stories and insights into the rich Czech history and culture. Your pace is our pace, and we can adjust the duration or distance according to your preference. Usually we cover 7-10 km (4-6 miles). We are also happy to alter the route around places you've already seen or what interests you most so you don't miss any highlights. Altogether, we do our best to fine-tune the tour to your preferences so you can enjoy discovering Prague with your laces on. Get those feet moving for an experience of a lifetime!